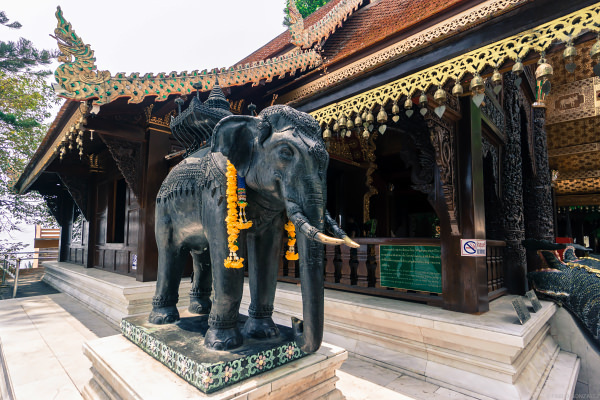 Chiang Mai is known for its temples and its slow pace of life. It is one of the most popular destinations in Thailand and there are plenty of reasons for that. Beyond the old city walls and the well-worn hiking trails in the jungle that surrounds this northern city, you’ll find plenty to do. 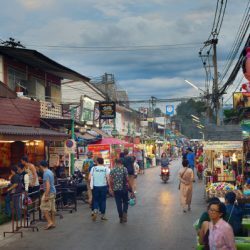 Here are some of the top things to do in Chiang Mai, as well some more unusual sights and activities you can experience during your trip there. The temple on the hill above Chiang Mai is definitely a must-see, not only for the impressive golden chedi but also the stunning view down onto the city. But Doi Suthep is also the name of the national park and is home to one of Thailand’s Royal Palaces. Getting there is fairly easy. Take a songthaew in the city (the red vans that act as a bus/taxi combination in Chiang Mai). If you are interested in taking the Monk’s Walk up to the temple, which really adds to the experience, then you’ll need to be dropped near Chiang Mai University, opposite D Condo on Suthep Road. Orange robes are tied around trees, which lead to the way, and it goes past the bijou Wat Pha Lat temple before heading up further to Wat Phra That Doi Suthep. It will take around two and half hours and is only recommended for those with decent fitness levels. Alternatively, you can take Songthaew from outside the zoo, which are there just take visitors to the temple as well as offering trips further up the hill to Bhubing Palace, where you can visit the stunning gardens and see the Alpine chalet inspired mansions the royal family occasionally use. Songkran (the water festival) can be an interesting time to visit Doi Suthep. The Temple Seeker blog has more on Doi Suthep and visiting the temple when pilgrims pray with their super soakers on their backs(!). 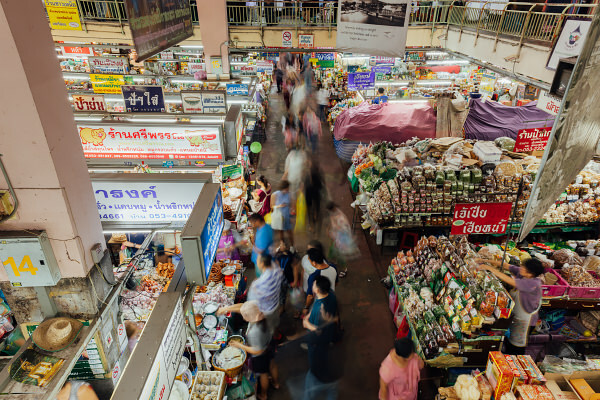 Chiang Mai has some of the best markets in Thailand. There is the night bazaar, which runs every evening is filled with tourists and sells things at tourist prices. On Sunday you’ll find the walking streets, which are more local in flavour and offer food and handicrafts, including some beautiful items made by local artisans. Be warned, it gets so busy after 7 pm that progress along the streets is slower than walking pace at times. For an experience that’s genuinely Thai and an absolute must for those who love food, try Warorot Market. It’s one of the oldest in the city and is located just off Tha Phae Road, only a few minutes from the Night Bazaar area. The edge of the market seems to spill into the street and here you will find fruits and flowers of every colour. The food stalls sell local delicacies and the best range of Thai snacks. Head inside and you will find not only the butchers but also several floors of stalls selling herbs, lacquerware, clothing and so much more. The prices are some of the best in the city because it has remained off the tourist trail. There are plenty of places to get a massage in Chiang Mai, but one of the best has to be as part of the rehabilitation of female prisoners in the city. Not only are these women experts, having been given excellent training, it also allows them to earn a living without going back to a life of crime. They are friendly and welcoming, and most of them speak a little English. If you have never had Thai massage, it’s a combination of pressure points and yoga-style stretches. At some places, you will get to wear an attractive pair of pajamas. Dotted across the city are Lila Thai Massage, who hire ex-prisoners and offer a range of treatments, the most popular being a foot massage. There is another popular option, which is the Chiang Mai Women Correctional Institution Vocational Training Center, where treatments are offered by current inmates as part of their rehabilitation. The guards are on duty, but the experience is relaxing as well as being more unusual than your average Thai Massage in Chiang Mai! My fave hostel in Chiang Mai. Chilled vibe (not party). Two lovely resident cats. Chiang Mai Canyon is a rather romantic name for what is essentially a 48,000sqm body of water contained in what was once a quarry. Hang Dong is around 30 minutes outside of the city and getting there requires a songthaew; make sure you arrange a return or you may get stuck there! The Grand Canyon, as it is now named, used to be covered with ‘Do not swim’ signs but it has now been taken over by a company that charges entrance. They have expanded the offering beyond the original cliff jump to include sunbathing on bamboo rafts, borrowing an inner tube or even trying out their zip-line. This may have increased the visitor numbers, but it has also increased safety. 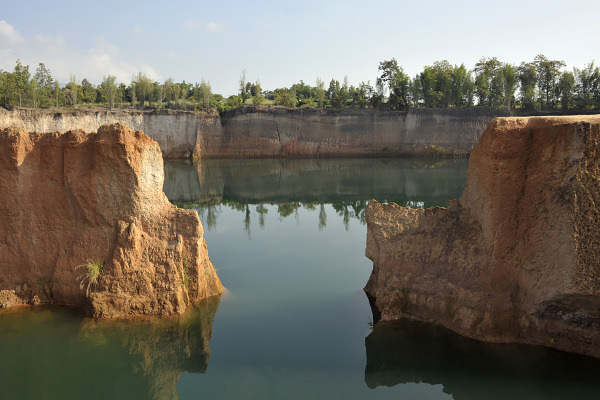 The cliff jump is still the most thrilling part of a visit to Chiang Mai’s Grand Canyon, and it definitely gets your heart racing. If you need sustenance after the adrenaline rush, there is a decent restaurant as well as a smattering of food stalls here as well. 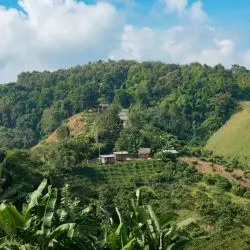 Northern Thailand is known for its fertile lands, which are ideal for growing coffee beans. It’s no surprise that there are plenty of coffee shops in Chiang Mai. But if you want your cup of joe with a difference, it’s worth heading one hour out of town to The Giant Chiang Mai. 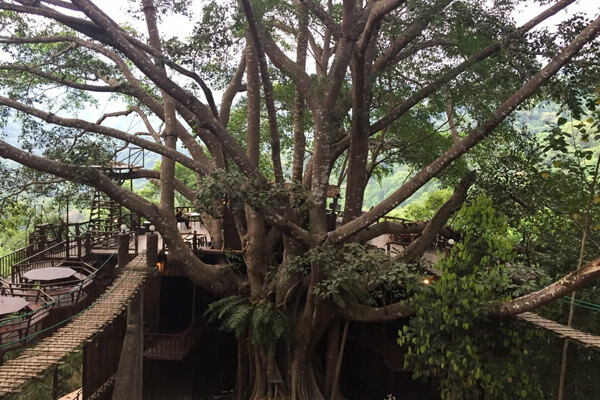 The Giant is first and foremost a B&B, but for those coming to visit for the day can experience the tree house at the coffee shop, which you access via a couple of rope bridges. It is a fun experience and the coffee is excellent. The food isn’t the most exciting, but if you are hungry you will find enough to keep you satisfied. Sitting among the branches of the tree in the lush jungle that covers this area is a magical experience, especially for those who grew up with grand treehouse dreams of their own. A recent addition to The Giant Chiang Mai is a zip wire, although it’s hardly thrill-seeking. To make the most of travelling this far out of the city, consider doing a trek at Mae Kampong Waterfall first, which has seven tiers and a natural pool to swim in. Cooking classes are one of the most popular activities in Chiang Mai, and there’s definitely a good reason for that. Who wouldn’t want to learn how to recreate some of Thailand’s best food once they return home, including green curry and mango with sticky rice? There are plenty of options to choose from, depending on how much you want to spend and how many dishes you wish to learn. 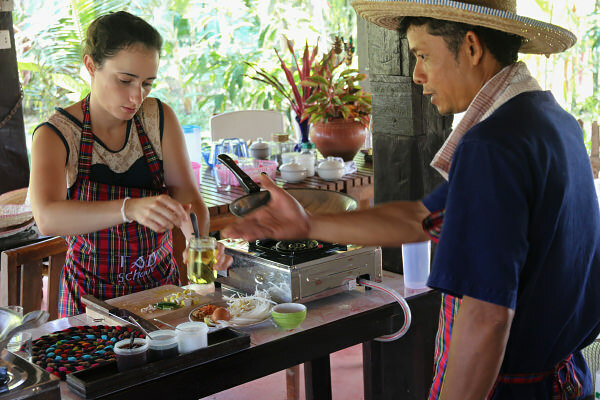 But if we had to single out one experience, it would be Chiang Mai Thai Farm Cooking School, which is located out of the city. You will be picked up from your accommodation and experience a visit to a local market before you head out of town. This organic is a more immersive experience than those in Chiang Mai city because you get to learn about Thai herbs and pick them from their garden as well as preparing your own lunch. They give you a choice of curry pastes (red, green or yellow) to blend. You’ll also make enough food to take away for your evening meal. If you are into art then Chiang Mai is a really creative place to be. Be sure to look out for The Art Map, which can be picked up at the tourist information centre and has all the gallery and event information you’ll need. One gallery that shouldn’t be missed is the MAIIAM Contemporary Art Museum, a half an hour outside the old city walls. Opened in 2016, it is a fantastic showcase of Thai art, with permanent displays and temporary exhibitions. The building the collection is housed in is also stunning, with a mirrored façade and an open-air courtyard. 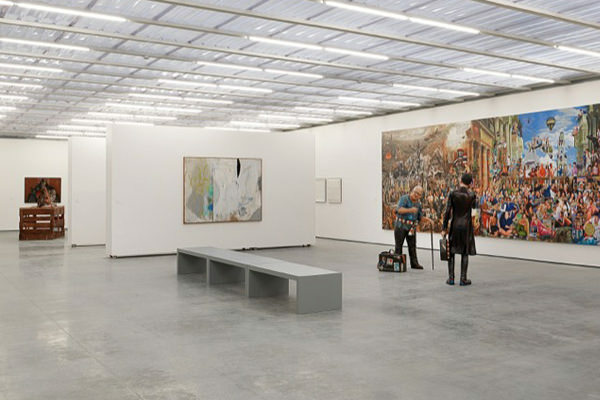 The permanent collection runs from the 1980s and includes the wall filling Super(M)art Bangkok Survivor, a triptych to the different facets of Thai culture, including religion and politics. MAIIAM Contemporary Art Museum has also displayed some of their pieces in their on-site café which serves Thai and international food as well as coffee and cocktails. 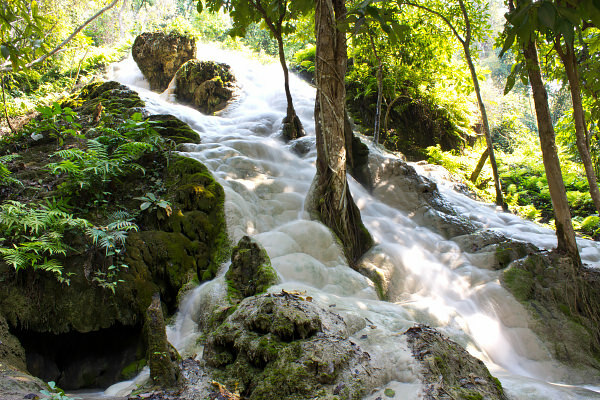 90 minutes north of Chiang Mai in the Sri Lanna forest you will find some of the best waterfalls in the region. They may not be the tallest or have the most tiers, but they have a natural quirk that makes them the most fun to climb. As the water tumbles down over the rocks it deposits a mineral residue, which hardens and feels like a scouring pad under your foot. Algae, which makes rocks so slick, can’t grow here and the scaly nature of the mineral means that your feet grip to them as you climb. In fact, the name they go by more often than not is Sticky Waterfalls. Getting there requires hiring your own transport, or finding a group who are travelling there to share a Songthaew. Parts of the waterfall are quite steep, so it can be a challenge and you will definitely find yourself with a few sore muscles the next day! Avoid the shaded areas, as they tend to be more slippery than sticky. There are open-air restaurants near the entrance; climbing makes for hungry work so you’ll probably want lunch afterward. Spending a day with elephants in Chiang Mai is a must-do. Elephants are the national animal of Thailand and used to make their home here, although there are now only a couple of thousand still in the wild. The best way to encounter these beautiful creatures is in an enclosed elephant sanctuary. Although riding an elephant might be a personal dream, this can upset the animals and involves a traumatic process of being broken in. Camps with the best welfare programmes will not offer any riding. A park that is well worth visiting and which is recommended to book at least a month in advance is the Elephant Nature Park, which offers day and week visits and volunteering opportunities. The day visit is still the most popular, and numbers are limited so you won’t feel surrounded. You get to feed the elephants, walk around the park with them and watch them play in the water. The staff is fantastic and it’s educational as well as fun. 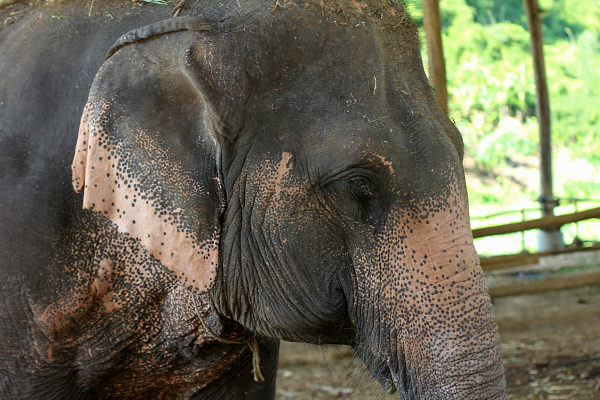 It’s not cheap, but the money helps rescue other elephants who are being exploited. We can’t really understand why this lake isn’t more popular with visitors, but this is part of its charm. It still feels like a local experience, and that isn’t easy to find, especially not a mere 20 minutes away from the city centre. Those who come here tend to make a day, or at least half a day, which is Thailand means one thing: lots of food! There are plenty of great restaurants bordering the lake, but our favourite is the one where you feel like you are floating on water. Made from bamboo and safely anchored to the shore, you can enjoy your som tam and curry in your own hut whilst ‘floating’ on the lake. Most of the restaurant names are in Thailand, but we recommend #2, which is also handy for the lake’s bathrooms (not too close though). 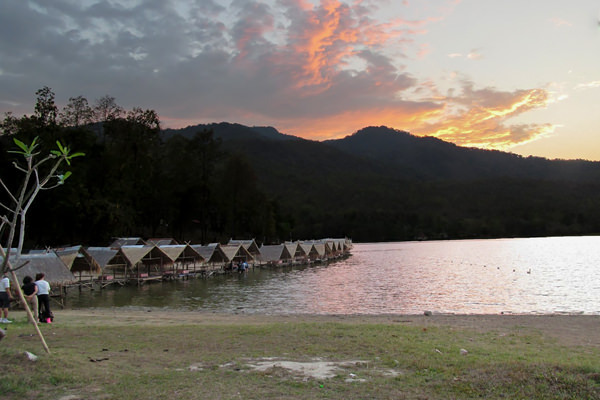 Eating isn’t the only activity that you can enjoy whilst at Huay Tung Tao Lake. You can also swim or rent a pedalo if you want to be out on the water. If dry land is more your thing, you can rent a bike and ride along the shore on the dedicated cycle path. Songthaews will bring you to the lake, but it’s worth negotiating for the return journey too, so you don’t get left here after sunset. Doi Inthanon is Thailand’s highest mountain and is one of the best day trips to do whilst you are staying in Chiang Mai. It’s a couple of hours outside of the city. The best way to get the most out of your visit is to hire a car that can drive you around the various must-see sites in the park. Start by taking the Kiew Mae Pan Nature Trail through the fairytale forest and out onto the ridge above. The views are the kind that makes you stop and stare and you’ll probably need to catch your breath because it takes a good two hours. From here, you can see the twin pagodas dedicated to the former King and current Queen Mother of Thailand, which should be your next stop before heading to the summit. Waterfalls are ten a penny in Chiang Mai, but if you have time, make a detour for Sriphum Waterfall. It’s the tallest in the region and extremely photogenic. There’s another hike, but there are vendors at the start so you can refuel. If you have time, we would recommend staying overnight and making the most of the National Park. It is one of the most beautiful areas in Northern Thailand, and there are plenty of affordable homestays here. Chiang Mai is as much about the hills that surround it as the city itself, so it’s important to get out and explore, even if the public transport leaves a lot to be desired. The red cars, or songthaews, are the best value but many people prefer hiring drivers or taxis. Dual pricing applies at National Parks, museums and other popular sites across Thailand, meaning visitors pay more than locals. Don’t miss our travel tips for Chiang Rai, a smaller city located four hours north of Chiang Mai, or our guide to Pai, a small tourist town near Chiang Mai. Not sure where to start your Thailand trip? See our itineraries and guide to Bangkok. Thank you very much for all your tips! My favorites are three house and the swimming restaurant. Wow, so cool! I’m actually considering travelling to Chiang Mai in 2019, so this was perfect! Going to spend at least two days with elephants, but the tip I’m hoping I for sure take with me If I go is the massage from the female prisoners as part of their rehabilitation program – that is just so awesome! 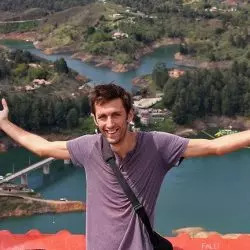 As a reasonably experienced traveler, but one who has never been in Thailand, or any part of Asia for that matter, I found myself wanting to do everyone of these things as I read. In fact, it made me think, maybe I should look for some flights.. If they happen to be touristy, okay, so are most of the places that people visit. They are popular for a reason, and the presence of other tourists actually helps a new visitor become comfortable in a location. After a few days, as you know, an experienced traveler then goes off on their own, or finds a local guide, and finds some of their own awesome things to see and do. Bookmarking, because I really did just add Chang Mai to my list. I just don’t get the whole travel blogging industry these days. 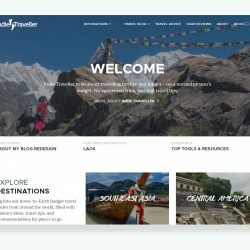 Originally people touted travel blogs as the perfect alternative to guide books because they’re up to date and can give a more personal account of a place and the activities there. These are supposed to be ‘unusual’ things to do in Chiang Mai, which is bloody ridiculous. Which list of ‘Things to do in Chaing Mai’ doesn’t contain Doi Suthep, a cooking class, seeing some elephants, visiting some markets? Pretty much everything on here is super generic and if you arrive in Chiang Mai and chat to anyone who’s been in town for more than half an hour they’ll tell you pretty much this exact list. ‘Ex-con’ sounds cool and edgy and what not but it’s still one of the most popular things in town. Do people who write travel blog posts just assume that no one who reads it will have ever been to the city/country or have never read anything else on it and that they’ll be thought of as super original? I don’t get it. 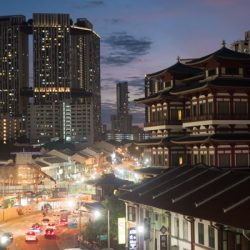 Sorry, total rant but it kinda grinds my gears because so many blogs are becoming redundant with exactly the same cookie-cutter posts about fantastically popular destinations just to get page traffic, not because it’s good writing or new information or something useful that people can’t find in 2000 other sites out there. What a waste. Hey Sarah. I get ya, but I think you took the title a bit differently from intended! They’re meant to be unusual (several anyway) for those coming to Chiang Mai – as I’m pretty sure many people might not have experienced something similar elsewhere. What might be ‘been there, done that’ to an experienced traveler is still fresh and magical to someone arriving for the first time. 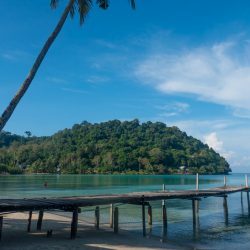 Loads of people constantly arrive to this blog looking for travel tips about Thailand, so I feel it’s useful to provide guides to the popular spots. This might hit some familiar beats if you’ve already been, but having these articles also makes it possible to cover more obscure or off the beaten track stuff elsewhere (this is always fun to do, but actually gets read by very few people… one often has to subsidize the other! ).